iFish USA™ | News, Media and Testimonials for iFish USA - The App for Fishing in America! As word about iFish USA spreads, we'll keep this page updated with any news, media, customer testimonials, radio interviews, etc. Check back often to see the latest talk about iFish USA! If you require media assets for iFish USA, please view our Media Assets page for logos, screenshots and icons. 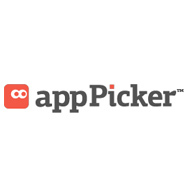 iFish USA was reviewed by AppPicker.com, a news and reviews site for iOS apps. 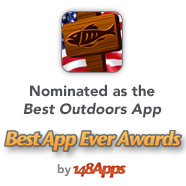 The App Door, developers of several successful outdoor apps, recently launched iFish USA for the iPhone and iPad. The app features fishing reports, HotSpots, lake maps, a catch log and detailed info on over 120,000 water bodies in America. Knowing When, Where & How to fish in America just got easier. "This app puts a wealth of knowledge and tools at your fingertips," said Randy Chamzuk, President of The App Door. "There's something for anglers of all ages and skill levels." The app’s simple interface allows users to easily search for lakes by name or via proximity search. Once a lake is selected, a range of information is readily available including; fish species, directions, weather conditions, even a calendar for the best times to fish. Where available, it includes lake contour maps, local visitor information and nearby photos. "It’s great when you can find nearby lake locations around a town or place your planning on visiting, then get all the details on it," said Chamzuk. The live lake reports give fishermen an idea of what’s happening at a location and allows users to review and mark favorite fishing HotSpots, share catches in the fish log and it even has a Glove Box to store fishing licenses or boat insurance. 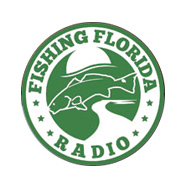 Future versions are already in development and will include coastal waters and an abundance of saltwater fishing information as well as an Android version. "We’re also releasing individual state apps for those who usually fish locally. iFish Texas is already available and getting great downloads." Chamzuk concludes, "this is the most advanced fishing app available on the market." Visit http://www.iFishUSA.com for more information or http://www.AppsForAnglers.com to view the entire iFish series of apps. "This app is incredible. I live in NY and there are a ridiculous amount of lakes here, this has every single one. I can't believe how many features it has. I would definitely recommend this application if you go fishing." "Absolutely ove it! Can't get any better." The Appzilla for Fishing! Amazing! - "I cannot believe how much information is within this app; it's the equivalent of having 100 apps in one. I love teh calendars, the ability to make and record catches ... By far one of the best apps you will ever find!" Please see our Media Assets page for screenshots, logos and icons for media use.